At Funzy Inflatable Theme Park we are flooded with party enquires and have birthday bookings running every hour of the weekend! We have taken into consideration how quick we sell out on our birthday party packages and also the expense birthdays can be! Here at Funzy we want to provide our customers with a chance to enjoy our party experience and allow parents to sit back as we do the work! 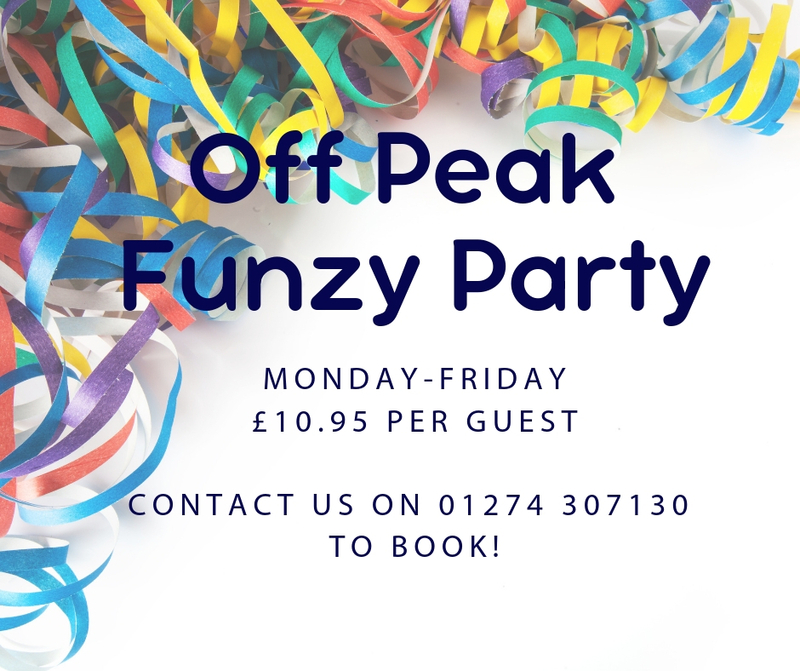 Our new Off-Peak Party offer allows you to book a Funzy Party Package with us at the amazing, low price of £10.95 per person. This offer not only gives you a 1-hour bounce session, which, at general admission price is £9.95 but for an extra £1 we will allow 30 minutes in our Funzy Party Room where we provide the food. We have also lowered the number of people required to a minimum of 8, this ensures that even our smaller bookings are able to be considered. (This offer is only available Monday – Friday during school term times). PHONE: 01274 307130 | TERMS & CONDITIONS | © 2018 FUNZY.CO.UK All Rights Reserved.